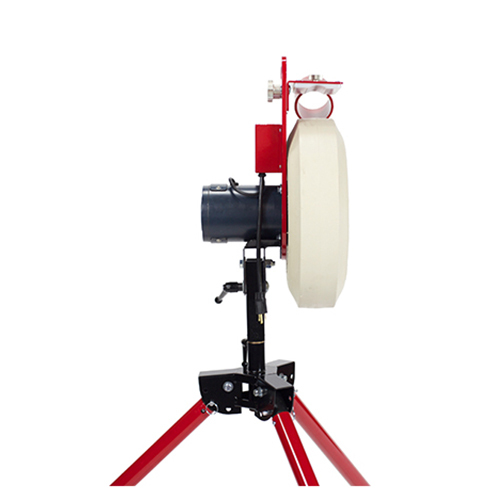 The first pitch XL pitching machine is great for baseball and softball coaches to use in the batting cage or as infield and outfield drills! The XL is built with heavy duty materials, and throws up to 80 MPH. The XL throws baseballs and 11" or 12" softballs, either pitching machine balls or traditional stitched balls. It has adjustable legs, and two ball tubes for tool-free adjustment between baseball and softball positions.